Jim Vauvert is the Serjeant at Mace for Ripon City Council he was born in Grimsby, Lincolnshire in 1955. Jim Vauvert served in the Royal Air force from 1971 – 1982 in the Medical Branch. He moved to Ripon in 1990 and became the deputy Hornblower to Alan Oliver in 1991 a duty that is still ongoing to this day. He also assisted Pat Webb, his predecessor on varying parade duties and when Pat was taken ill on parade in 1999 Jim stood in for him until his return to work, which sadly didn’t happen. Jim was asked to take on the role of Serjeant at Mace in 2000 and did so with great pride and honour, carrying out all the duties to the best of his abilities. 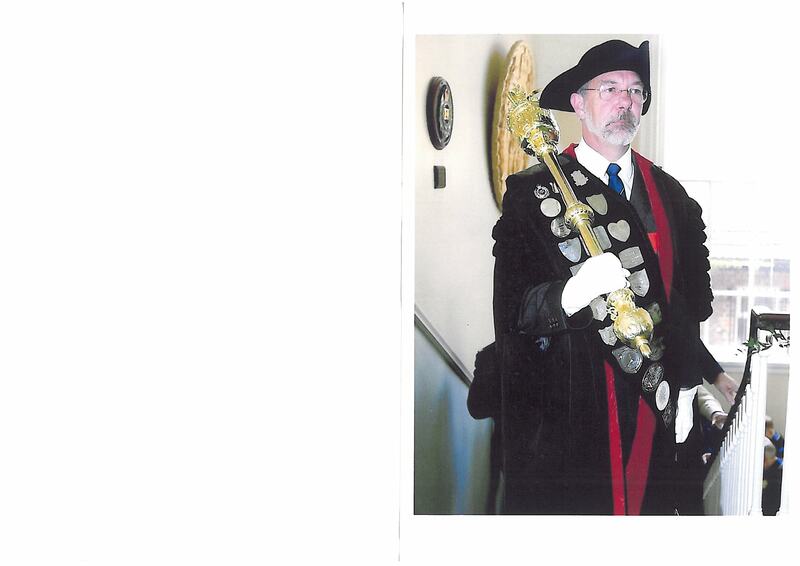 In 2004 due to changes in circumstances the City employed a Mayor’s Serjeant and Jim continued as Serjeant at Mace in the Ceremonial and Parade role. Jim has had contact with various members of members of the Royal Family, his first being with HRH Prince Charles when he was made Freeman of the City. It was a proud day for his family as his son David was asked to be a stave bearer for this ceremony. One of Jim’s most memorable days was the visit of Her Majesty Queen Elizabeth II and the Duke of Edinburgh when he had the honour of reversing his mace to Her. Jim is also one of the municipal officers who gives ‘silver talks’ to groups and our longest serving municipal officer.